As far as I know, nobody so far has actually experimentally investigated martial arts in a weightless environment, other than under water. 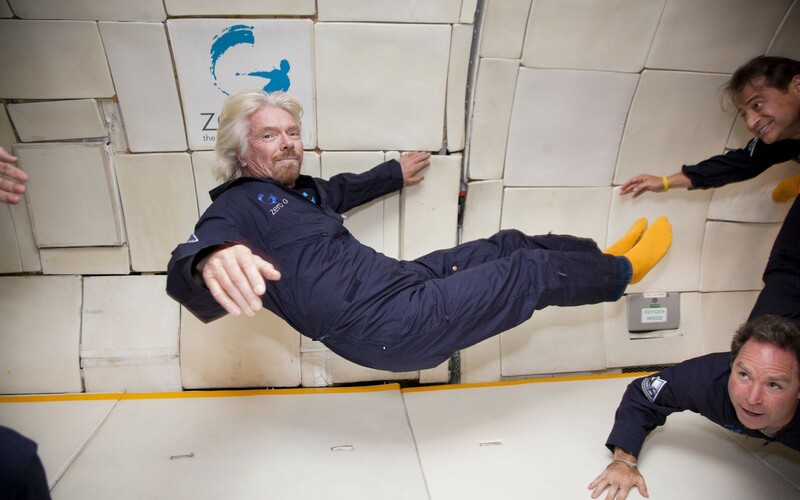 This article concerns constraints and opportunities presented by unarmed combat in zero-G environments without a spacesuit being involved. If one includes a spacesuit then we are in a situation analogous to knights in armor, where the only realistic option is a weapon, probably a reactionless pistol based on the Gyrojet. What is not an option are the “space axes” of the 1940s SF writer E E “doc” Smith! While some insights can be gained by practicing in a swimming pool many crucial features of true freefall are missing, most notably the lack of resistance to movement and the importance of bodily inertia. Apart from the space station the only other place where this could be practiced is in an aircraft flying a parabolic trajectory — the so-called “Vomit Comet” which can provide up to thirty seconds of weightlessness. There are two unique problems one encounters that separates this from the gravity bound situation with which a martial artist normally deals. First, there is no “down” and no gravity to assist in applying locks. In fact, most “groundwork” will no longer be of relevance. The second is that without gravity and a ground with which to push against Newton’s Third Law, action and reaction are equal and opposite, makes itself very obvious. You hit someone with a straight punch, and both of you fly apart. Fight over! The major problem as mentioned is that as soon as you hit someone with a straight punch you both head off in opposite directions. The problem is even worse with kicks because as the leg is raised and extended rapidly you will move backwards and in a circle, probably enough to put you just out of range. We see this with beginners even on Earth. If their balance is not forward they get thrust backwards. On the other hand, if the strike is a hook or roundhouse the person throwing it will start to rotate, and on impact both parties will begin to spin. The obvious solution is to hold the opponent while the strike is delivered. Additionally, because they opponent must now be closer fists and feet give way to knees and elbows. Aspects of an art like Thai Boxing could come into its own. A lot of the combat effectiveness of a throw, especially in something like Judo, comes from having your opponent hit the floor in a gravity assisted manner, quite often with you dropping on top of them. Clearly this type will not work at all. There is no getting your opponent “off balance” because in zero gravity everyone is off balance all the time! 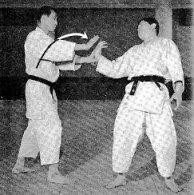 An alternative is the type used in Shorinji Kempo and Aikido, for example Kote Nage. Here the wrist is bent at ninety degree and twisted outwards. The resulting pressure on wrist, elbow and shoulder force the opponent to spin and fall. They typically do this in one of two ways. If they are a beginner they will fall outwards onto their back. The more advanced student will execute a forward somersault in the air. Again, neither of these forms will work in zero-G as described. The trick is to use the combat forms of such techniques, which is something most outsiders never see executed. What most people see, and practice is the art, where the person executing the throw does so smoothly, allowing the opponent to flip or fall without damage. 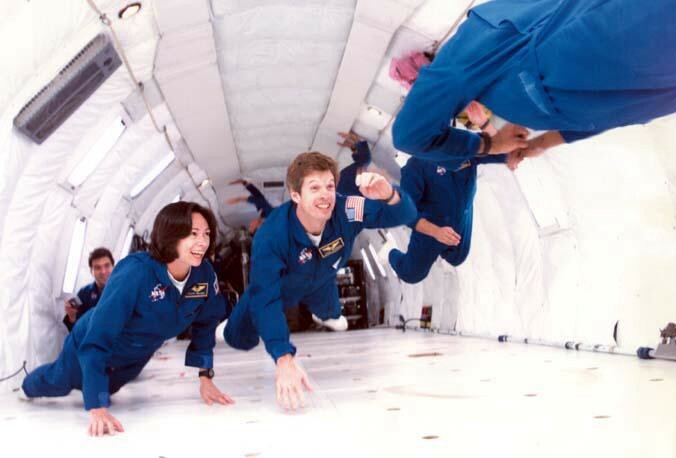 The really nasty versions are the ones we must use in weightlessness. This is where the twist is executed using a rapid jerking motion designed to injure the wrist, elbow or shoulder. The opponents inertia stops them spinning because it is over so quickly, and the hand is returned to its original position. Locks are used to immobilize and control and opponent. However, any lock that requires the opponent to be on the floor as part of the technique in order to prevent an escape… well, you should be able to guess the answer by now. Ditto any technique that requires body weight to make it work. We need locks that will work in any orientation and where leverage is not gravity assisted. A couple are shown below. The first is the “Back Hammer” that most people know. In weightlessness the person applying it probably needs to be pressed up against the opponent’s back. The second is a rather spectacular picture of a Judo Arm Bar. Normally this is executed with both parties lying flat on the ground. However, it is effective in any orientation provided the person executing it locks their legs together over the opponents body. As anyone who watches MMA knows, a lot of the fights end with this technique. 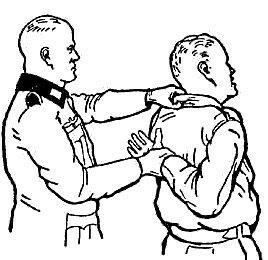 Another favorite is the strangle or choke. In fact, this may work far better in low gravity environments because many ways of escaping from it rely on using weight for leverage, which will no longer be available. Shorinji Kempo teaches 142 such points, which are defined as points that will inflict unconsciousness, immobility or extreme pain without the application of great force. Depending on type, they can be struck lightly, for example the eyes; or finger pressure can be applied, for example the inside of the collar bone. A full discussion is beyond the scope of this article, but they are disproportionately effective in grappling situations, which is almost a perfect description of zero-G combat. One must also remember the effectiveness of very basic forms of attack, such as head butts and simply biting a chunk out of someone! For the martial artist the weightless environment provides a unique opportunity to extend millennia old knowledge. It is probably too dangerous for those aboard the ISS (International Space Station) to engage in much described above, although it would be welcome especially if properly documented. In the meantime, we might hope that someone with an interest in these arts gets to fly the Vomit Comet, take some videos and stills, and report back on the experience. They will be making history.